The Perl-UNC Neuroscience Prize is a $20,000 cash prize awarded by the UNC-Chapel Hill School of Medicine for a seminal discovery in neuroscience. 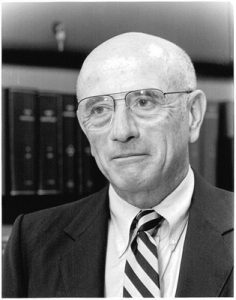 The Prize, established in 2000, is named after former UNC professor Edward Perl, MD, who discovered that a specific type of sensory neuron responded to painful stimuli (nociceptor) and was the first president of the Society for Neuroscience. The Perl-UNC Neuroscience Prize is becoming increasingly well known among biomedical scientists. Six of its previous winners have gone on to win the Nobel Prize in Physiology or Medicine or The Nobel Prize in Chemistry. Three other Perl-UNC Neuroscience Prize recipients have gone on to win the Kavli Prize, which to neuroscientists, has become nearly as prestigious as the Nobel. Donations to the prize are welcome and will allow us to increase the value of the prize in the future.